Driving while intoxicated (DWI) or Driving under the influence (DUI) are common crimes in Arkansas, and unfortunately, many well-intentioned people find themselves in the worst possible situation. DWI/DUIs can range in severity, however, the penalties associated with any DWI/DUI conviction have long-lasting consequences which include, among others, jail time, hefty fines, a blemished criminal record, difficulty being accepted to a college or university, difficulty getting a job, and difficulty finding an apartment or home for rent. Because the aftermath of a single DWI/DUI conviction can be catastrophic, working with a highly skilled attorney is crucial to protect your rights and interests. If you are facing DWI/DUI charges in Arkansas, you need experienced attorneys you can trust. Attorney Mark Rees of the Rees Law Firm has more than 20 years’ trial and litigation experience with DWI/DUI cases and can help you achieve the best result possible in your case. Contact our Jonesboro office at (870) 931-2100 to schedule a consultation today. Jonesboro Criminal Defense Attorney Mark Rees routinely handles DWI/DUI matters for many Arkansas citizens, whether the DWI/DUI is a first offense, second offense, or third or subsequent offense. All cases are different based on a person’s criminal history, but with the help of Mark Rees, clients have a much better chance of fighting a DWI/DUI charge and reaching a result that is fair given the facts of the case. All Arkansas drivers should be aware of what can happen if they are charged and ultimately convicted of a DWI/DUI. The following information should help drivers learn to (1) drive sober, and (2) know what to do if the situation arises where they are facing an Arkansas DWI/DUI charge. DWI vs DUI: Is There a Difference in Arkansas? Some states draw a distinction between DWI charges and DUI charges. 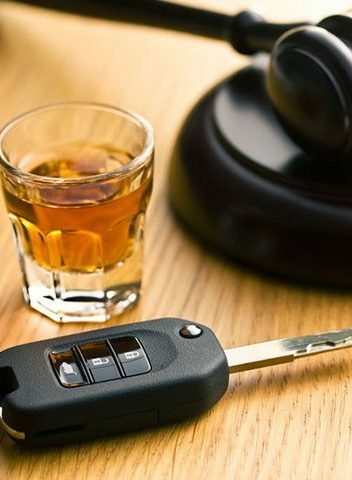 DUI stands for “driving under the influence,” and DWI stands for “driving while intoxicated.” In states that differentiate the two, a DUI is typically the lesser of the two charges, which can mean a driver is accused of being under the influence of a controlled substance but not necessarily of being legally intoxicated. Sometimes, these states will also differentiate by the substance involved. “DUI” can be used in these states to describe situations involving both drugs or alcohol, whereas “DWI” will usually be reserved for situations involving alcohol only. In Arkansas, there is little, if any, distinction between the two. They are used nearly interchangeably, though DWI is generally the preferred term. When drugs are involved instead of alcohol, the term might be changed to “DWI-Drugs.” Regardless of the terminology used in your case, you need to hire an Arkansas attorney who has a clear understanding of this area of law. In Arkansas, it is illegal for an adult who is 21 years old or older to drive when he or she has a blood alcohol content (BAC) of .08 or greater. The standard is different for commercial drivers, who cannot legally drive when their BAC is .04 or greater. People who are below the legal drinking age — under 21 years of age — have a much lower BAC standard: .02 or greater. It is nearly impossible to equate BAC with a set number of drinks consumed because of the different ways people metabolize alcohol. Police officers, therefore, rely on breath, blood, and urine tests to measure BAC.It is important to understand that merely by operating a motor vehicle in Arkansas, you have impliedly consented to one of these BAC tests if you are pulled over on suspicion of DWI. If you then refuse to submit to a test, you could face an additional charge and automatic revocation of your license. All of this said, a prosecutor does not need a BAC value to convict you for DWI. And you could even have a BAC of less than the legal standard and still be convicted. This is because Arkansas law says it is unlawful for someone who is “intoxicated” to operate or be in “actual physical control” of a motor vehicle. A BAC of .08 or greater is only one way of proving intoxication, so even if your test results go your way, you could be in danger of losing at trial. This is why it is so important to hire an attorney right away and to make sure you hire the right attorney. The only way out of your DWI charges in Arkansas is a winning verdict during your trial. You need to be sure you’re working with an attorney who has a track record for successful DWI trials. Every person charged with a DWI in Arkansas will have his or her license seized by police. This can be temporary or long-term, depending on the outcome of your charges. Penalties for a DWI conviction in Arkansas vary based on whether you have had any other DWI convictions in the last five years. These penalties apply to persons 21 years of age or older. There will be different license consequences for commercial drivers and different consequences for people charged with DWI while underage. While charges in a DWI case cannot be reduced by negotiation or plea agreement, your attorney can negotiate sentencing with the prosecutor, depending on the issues in your case and the likelihood of success at trial. Of course, it is always up to the judge in your case to accept or reject the sentencing recommendations of the parties. When you have been charged with a DWI or DUI in Arkansas, it is vital that you hire a skilled Arkansas DWI/DUI attorney to represent you. Contact the Rees Law Firm today to discuss your case. Difficulty being accepted into college. Many of these harsh penalties are avoidable if you act quickly to meet with a qualified attorney who will help you reach the best result possible given the facts of your case. The more severe the DWI/DUI, the more severe the consequences may be. Don’t take the risk of acting alone. Allow a skilled attorney to represent your rights and interests as you fight to overcome what may be a very serious criminal matter. Any criminal matter can be a nightmare, and DWI/DUI charges are no exception. One mistake can change a person’s life forever, but with the right attorney, individuals facing charges have a much better chance of overcoming the criminal matter without the worst of consequences. If you or a loved one is facing Arkansas DWI/DUI charges, it is imperative that you act quickly to speak with an Arkansas DWI/DUI Attorney right away. Jonesboro Criminal Defense Attorney Mark Rees handles numerous DWI/DUI cases on a regular basis and knows what to expect when going to court and working with prosecutors. The Rees Law Firm understands that legal fees can be costly. As such, we offer payment plans and accept most credit cards. While it may be cheaper to go it alone, it is well worth the money to work alongside an advocate who can help you stay out of jail and potentially move forward with little harm to your criminal and driving record. The Rees Law Firm offers free case consultations and will walk you through all of the procedures for handling your DWI case. Contact our office today at (870) 931-2100 to schedule a meeting with experienced Jonesboro DWI Attorney Mark Rees.